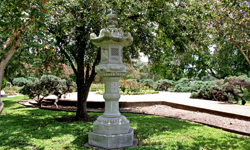 The Japanese Stone Lantern is displayed in the Hermann Park Garden Center. It was dedicated on October 24, 1982. 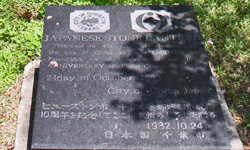 The people of Chiba City, Japan, gave it to the City of Houston to celebrate the tenth anniversary of the sister city relationship of the two municipalities. It is carved from white marble.